of our wholeness, is not quite a lie. on fire being smothered in blankets. got fired. When will I die? she asks. the apartment eight stories up. into the fire captain’s arms. this whole car. Live this whole life. in the video will not ignite. The baby will open like a parachute. 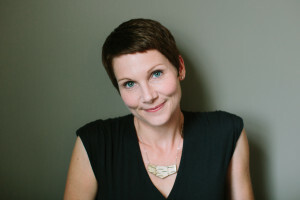 Maggie Smith is the author of, most recently, Good Bones (Tupelo Press, 2017) and The Well Speaks of Its Own Poison (Tupelo Press, 2015), winner of the Dorset Prize. Her poems have appeared or are forthcoming in the New York Times, The Best American Poetry 2017, Ploughshares, Tin House, AGNI, and elsewhere. In 2016 her poem “Good Bones” went viral internationally and was called the “Official Poem of 2016” by Public Radio International. Smith is the recipient of fellowships from the National Endowment for the Arts, the Ohio Arts Council, and the Sustainable Arts Foundation. She lives and writes in Ohio.